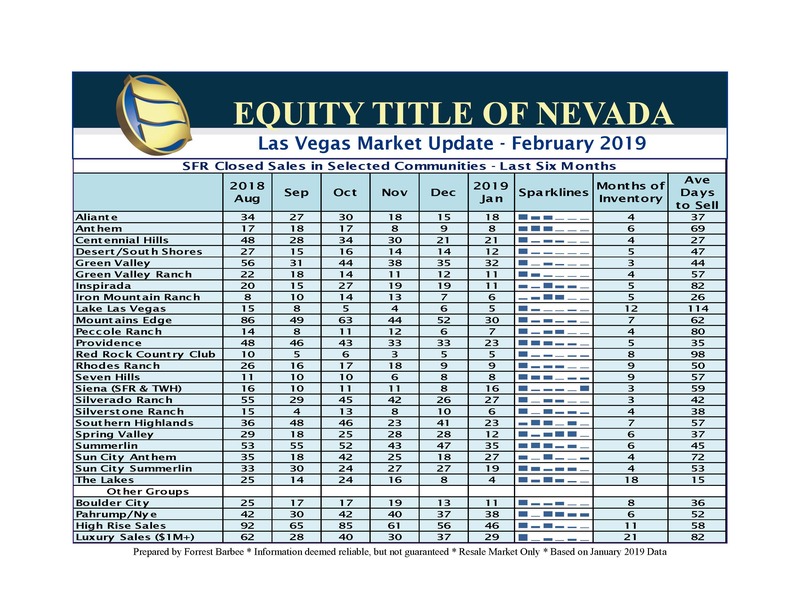 The Las Vegas 4th quarter 2018 market slowdown has continued into the first month of 2019 with opening month closing the worst since January 2015. Yet supply of inventory has risen sharply in the face of lower demand resulting in 4.2 months of SFR inventory. However, the chart below depicting sales by community reveals anywhere from 2 to 20 months of inventory – depending upon the specific community. 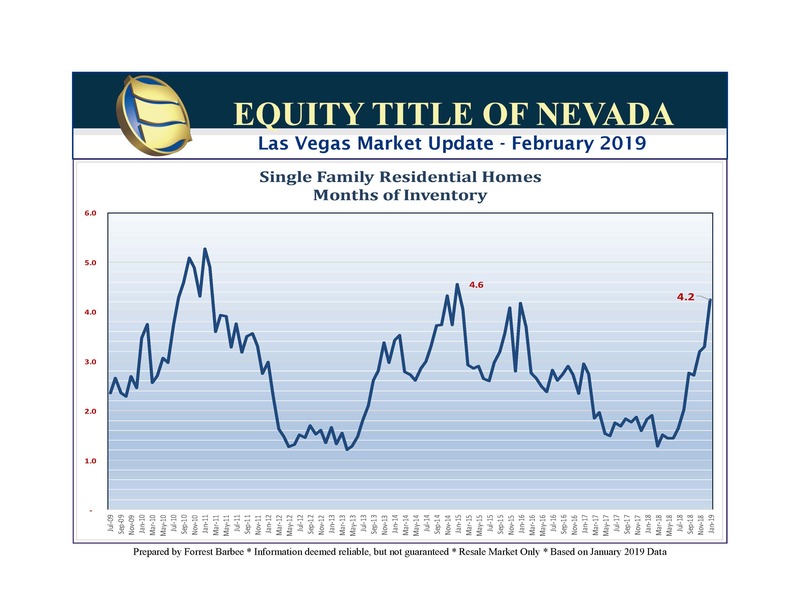 The good news is that this market shift has put downward pressure on listing prices of available inventory even as SFR closed sales prices improved. Consequently the big news is that the overall level of overpricing dropped markedly this month. 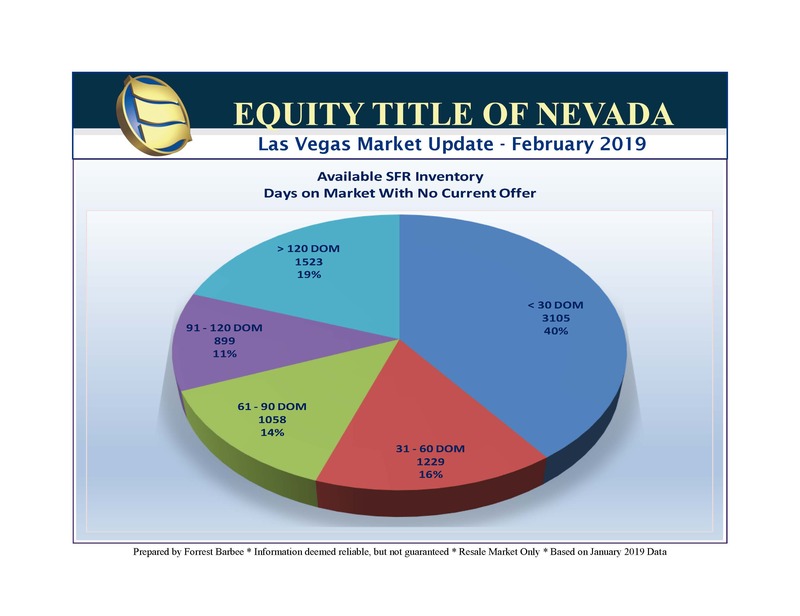 January 2019 SFR closed sales fell nearly 20% from January 2018 and 15.5% from December SFR closings. 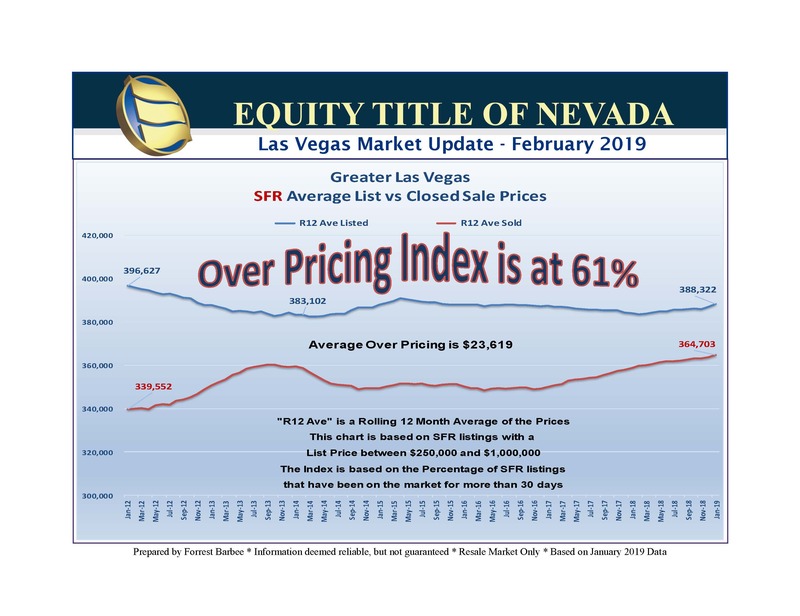 Even so, the median closed sales price of an SFR nudged up to $300,000 in January for a 1.3% increase over last month while the average closed sales price of an SFR improved to $351,518 for a 1.1% increase over December 2018. So is there light at the end of the tunnel? Or did the government shut that off as well?? Yes! The silver lining is that pended sales are up nearly 14% from last month – and we all look forward to those additional closings.